Andhra Pradesh: Chief Minister Nara Chandrababu Naidu on Sunday released a new state health bulletin, aimed at improving the healthcare sector of the state. Collectors from all 13 districts across Andhra Pradesh took part through a video conference. During the event, a new programme aimed at child healthcare, named “Palakarimpu” was introduced. State health minister Kamineni Srinivas and other officials attended the programme as well. 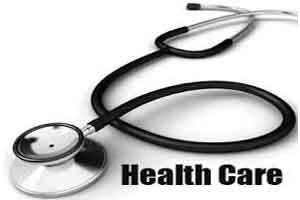 Under the programme, medical teams will visit over 1.20 lakh houses for 21 days from March 5 to 31. Children in the age group of 0-5 years will be observed and their health condition will be regularly checked. The target is set for 50 lakh children across the state. Every child will be administered vaccines and malnourished children will be identified and given proper advice. A proper medical care will be provided to children suffering from ill health and birth deficiencies, which will be identified and given treatment as suggested. Also, guidance and advice for the care of underweight children would be given. As many as 42,219 Asha workers, 51,545 anganwadi workers and about 1 lakh Mission for Elimination of Poverty in Municipal Areas (MEPMA) workers will take part in the program. Naidu and Srinivas distributed child health care kits to the workers. While speaking in this connection, Naidu said, “Steps should be taken for 100 percent control of infant mortality rate and maternal mortality rate. Under “Janmabhoomi” programme, innovative steps are being taken up. We formed volunteers under the name of “Sadhikara Mitra”. He added that special programmes were being conducted for pregnant women and newborn babies. He also promised to make the state 100 percent Open Defecation Free (ODF) by the end of this month. He also stressed on exercising as a daily routine to keep oneself healthy. Naidu also directed all officials to meet at least one day in a month and to discuss and resolve the issues in the villages across the state, so that such issues will not arise again. “If minor health issues are treated immediately, they can be prevented in initial stages. In future, everyone’s health records will be connected to Aadhaar for providing medical services. Within one year, we will make the state a role model,” he added. Naidu further said that health bulletin should be released at village and district levels across Andhra Pradesh on the fourth of every month. Good program.Data of people\’s health will be available for proper planning by Government to prevent diseases and to provide facilities to treat accordingly. It shows government is committed to Free Public Health to all irrespective of socioeconomical status. This will reduce cost of health care drastically. This model must be followed by every state so that the diseases are controlled the cost is reduced convenience increased and the compliance of taking medicine in time and for the right duration will root of the disease this is a very important step in improving health care of India.